COMING SOON. 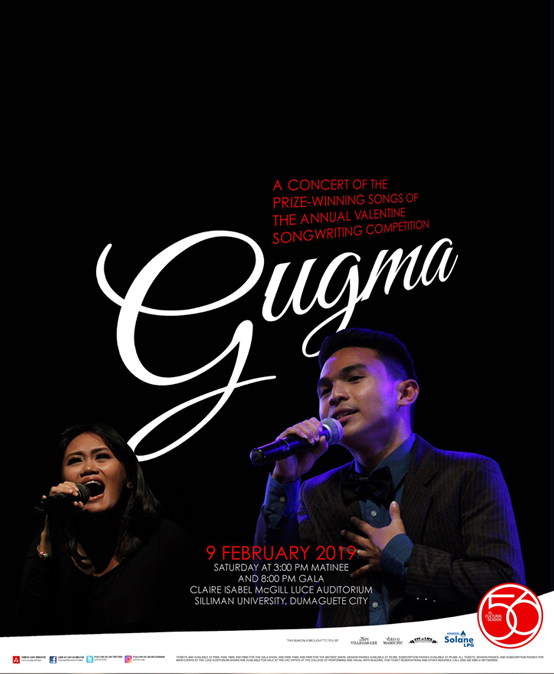 Presenting a concert of the winning songs of the annual Valentine Songwriting Competition titled GUGMA on FEBRUARY 9, Saturday at 3:00 PM Matinee and 8:00 PM Gala. 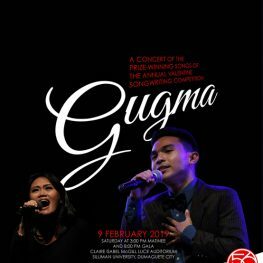 Tickets are available at P200, P400, P600, and P800 for the gala shows, and P200, P400, and P600 for the matinee.